The Firefox findbar is a search tool that you can find keywords on pages with. 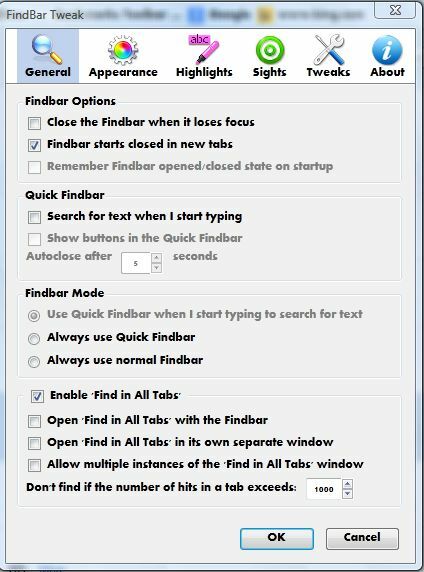 Press Ctrl + F to open the findbar in Firefox. To customize the findbar, check out the FindBar Tweak  add-on. Add the extension to Firefox from this page. 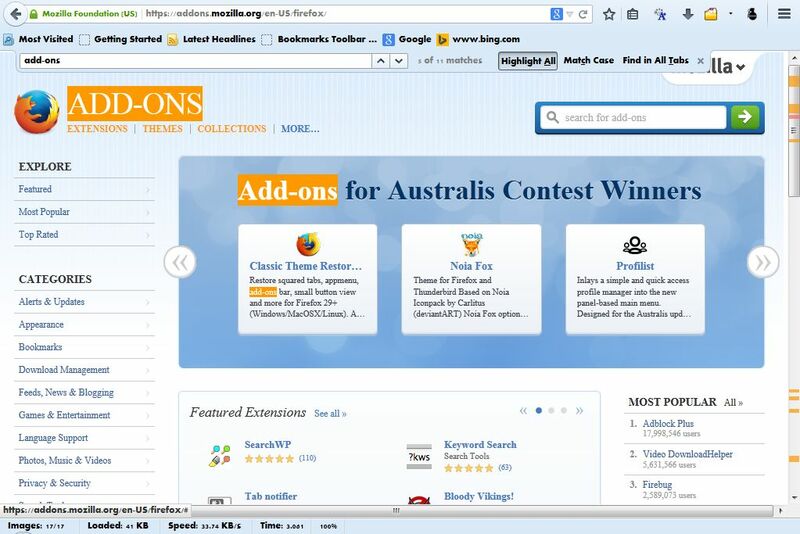 Click on the + Add to Firefox button on that page and Install Now to install it. 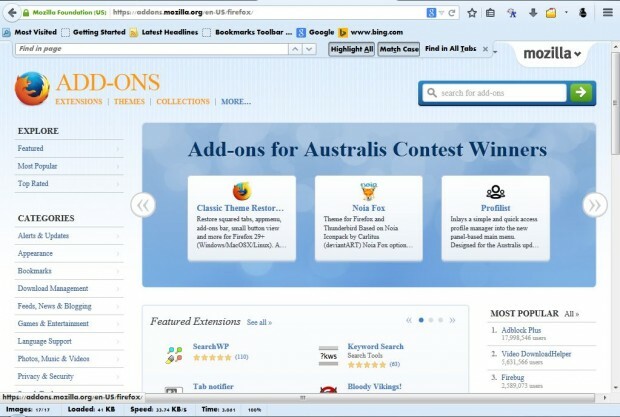 Then press Ctrl + Shift + A to open the Add-on page, and click on the extension’s Options button. That opens the window in the shot below. 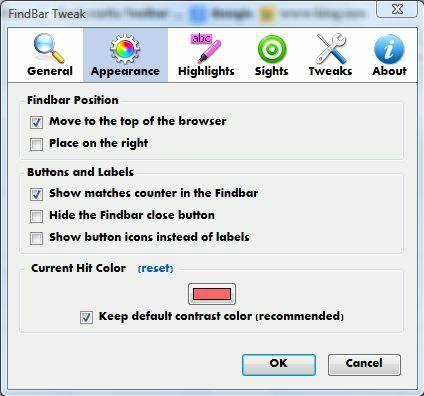 That window includes a variety of options for the findbar. For example, you can alter the findbar’s position by selecting Appearance. Then click on the Move to the top of the browser check box to move it to the top as in the shot below. When you enter text in the findbar it highlights matching keywords in the page. You can adjust the current hit color by selecting Appearance and the colored text box at the bottom of that window. Then choose an alternative color from the box. 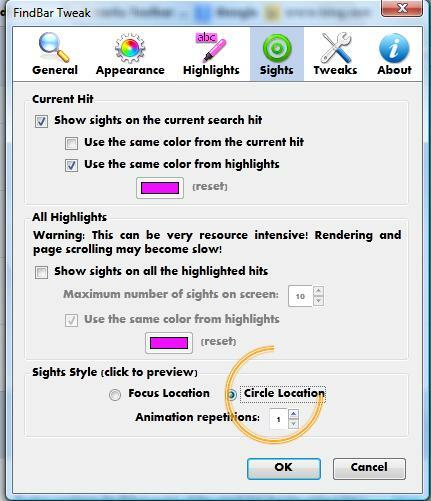 To adjust the general highlighter color, select Highlights at the top of the window. Then click on the box under Highlights Color. Choose a color from the palette, and click OK to close the window. The findbar also has a circle animation to show the position of matching keywords on the page when you enter them. You can switch that to an alternative animation by selecting Sights on the add-on’s window. At the bottom of that window are Focus Location and Circle Location options. You can also adjust the length of the findbar textbox. Move the pointer to the edge of the findbar text box. When the pointer becomes an arrow, hold the left mouse button and drag the box to the left and right. Those are just a few of the findbar options this add-on includes. It also has plenty of other settings that you can customize the findbar with.